Anyone can wake up tomorrow and put out their Coach - Open for Business sign. Anyone. In fact, in some states like New Hampshire, the requirements to make money as a babysitter are more stringent than it is to be a coach. And there are hundreds of thousands of these people waiting to take your money. So how do you decide? How do you determine a good coach from a bad coach? The first strategy is to educate yourself about coaching and how it works. Just like buying a used car, you need to know what you are looking for and what cars are best from places like Consumer Reports. Learn about the coaching field from sites like this and my book. The second strategy is to look for an academic background and not a certification. If you were buying a used car, you would probably would look for specific manufacturers that have a solid background in that type of vehicle. A great example is "off road." You probably think of brands like "Jeep", "Range Rover" and "Hummer." With hundreds and hundreds of certifications out there, the only way to tell a solid coach from a fly-by-night coach is academic background. Academic background means from an accredited college or university. Academic background means degrees. Advanced degrees. Like an MBA or an MS degree in Business Management if you are looking for a business or career coach. Or an MA in Psychology if you are looking for a Depression Coach (yes there are Depression Coaches) or an MA in Substance Abuse if you are looking for a Recover Coach). The third strategy once you know how the coaching field works and what kind of coach you want is to separate the good individuals in that category from the bad individuals. If you were buying a used car, you would go to sites like CarFax. For coaches look for exclusivity in the profession and verifiable reviews. Consider any review on a coaches website suspect unless it comes from places like Yelp, the Better Business Bureau and LinkedIn where the review is attached to a real person and / or verified. The fourth strategy is to experience the coach directly via a 100% real coaching session. If you were buying a used car, you would take it for a test drive, wouldn't you? Of course, you would! You wouldn't just swallow the pitch from the sales person in the factory showroom hook line and sinker or buy the car because the sales person seemed nice and you like them right? Beware! Many coaches offer "Intro Sessions" which are really cleverly-masked sales presentations designed to get your money. They follow a specific format (like a time-share presentation) designed to get you saying "Yes, Yes, Yes," and ending with taking down your credit card number. Any coach worth their weight will give you a free, no-strings-attached, coaching session that is JUST LIKE the coaching sessions they do for clients (except it might be shorter). Consider anything less completely unacceptable and a deal breaker. It's overwhelming. 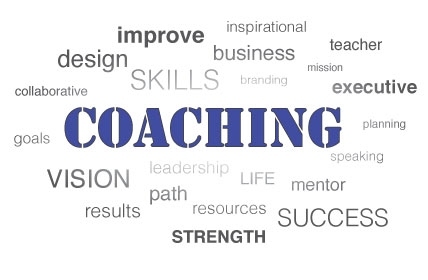 Here are some of the coaching specialties: ADD/ADHD Coaching, Addiction Recovery Coaching, Business Coaching, Career Coaching, Entrepreneurship Coaching, Executive Coaching, Family Coaching, Health Coaching, Fitness Coaching, Leadership Coaching, Life Coaching, Money and Finance Coaching, Performance Coaching, Relationship Coaching, Gay Men's Coaching, Lesbian Coaching, Retirement Coaching, Spirituality Coaching, Transition Coaching, Team Coaching.,Personal Coaching, Sales Coaching, Real Estate Coaching, Neuro-Linguistic Programming Coaching, Christian Coaching, Muslim Coaching, Jewish Coaching, Vegan Coaching, Weight Loss Coaching, Emotional Intelligence Coaching, Laser Coaching, Co-Dependency Coaching, Parenting Coaching, Solution-Focused Coaching. You name it, there is a person who will coach you on it! And you can get "certified" in any of the above coaching "specialties" in as as little as one weekend! Thoroughly vet any coach you are considering. You may get pressured to make a decision right away but it pays to do your research. If you were buying a used car, you would probably consider taking that car to a trusted mechanic for a once over before you bought it. You would simply listen to the pitch from the used auto salesperson! The best source for that once over is the Better Business Bureau. They take into consideration much more than client reviews in determining whether a business is reputable or not. The BBB uses seven factors to determine a rating for business. A coach's rating by the BBB will help you sort out the wack-jobs from the skilled professionals. My dog became a coach. Really. I was able to get my dog two coaching certificates over the years. My dog is certified as a "Holistic Life Coach". My dogs is certified as a "Relationship Workshop Coach". When we live in a world where a god can become certified as a coach, how can you trust anyone who want to coach you? Real coaches have real degrees. Graduate degress from accredited colleges and universities. Real coaches use real models. Not something they made up, hanging out with their friends and jotted down on a cocktail napkin. Real coaches have malpractice insurance. Let insurance companies do the vetting for you. Real coaches practice what they preach. Run away from a fat weight-loss coach or a business coach who does not have a succesful business in addition to their coaching practice. In addition to being an author, G. Scott Graham works as a Boston business coach and Boston career coach.